Dave Leigh - Page 1 - Dave Talks. How do you estimate the effort of a Sitecore upgrade? Kubernetes beginners series - Part 1 - What is Kubernetes, setting up a cluster and the kubectl. 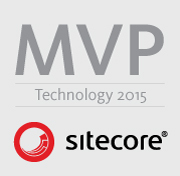 Web, and long time Sitecore developer based in Bristol, UK, working at Valtech - valtech.co.uk - @valtech. I occasionally do other things too.